In 2014, the Atlanta Jewish Film Festival held an art party to celebrate several prominent Jewish film directors in tandem with the festival. MailChimp partnered with AJFF to create limited edition screenprinted posters to honor the featured directors’ accomplishments and give away items to the party attendees. 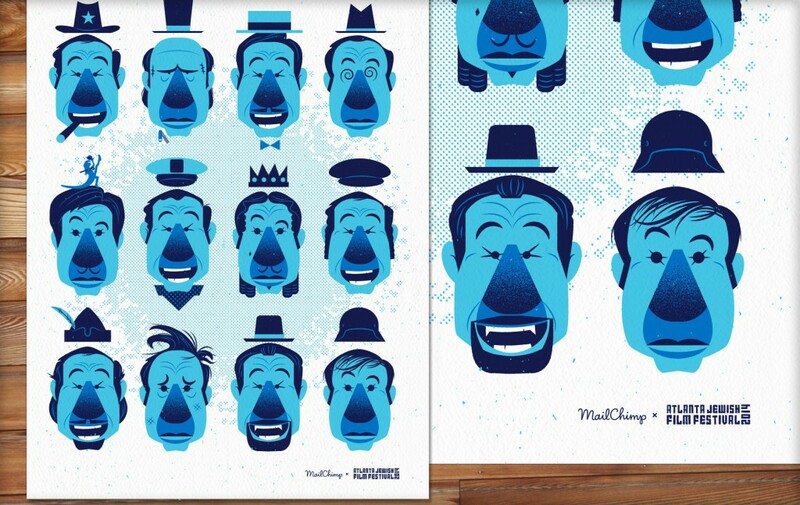 I was contacted by MailChimp to create a poster featuring Mel Brooks and showcase his films without using words, titles, or any copyrighted elements. Each face thematically represents one of each of his twelve major films.